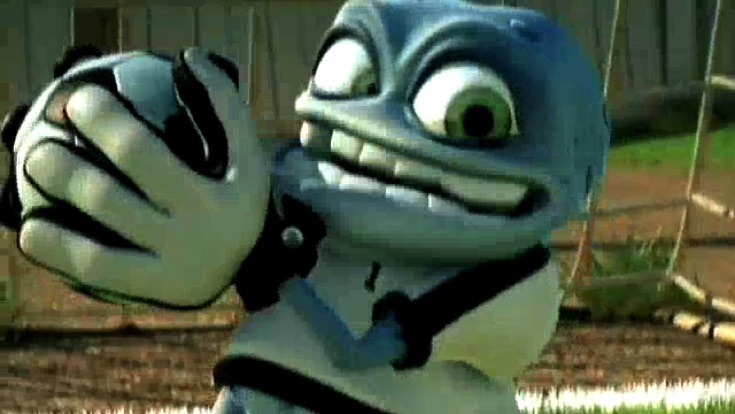 Good Lord Crazy Frog Put Some Pants On You Perve!! k crazy frogs cool (4 my lil bro i guess) but dude, honestly, put some friggin pants on! its not cool, I EXPECT TO SEE SOME PANTS NEXT TIME LITTLE DUDE!! Great song love the scocer gaqme them make this a grat scocer dance to lisne during a game!